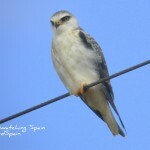 A bird watching tour Doñana is a must for all keen birders. This stunning National and Natural Park (108086 ha) holds an incredible variety of wildlife, including the threatened Spanish Imperial Eagle, Marbled Teal, Red-knobbed Coot and the Iberian Lynx. Its privileged location close to Africa, and between the Mediterranean Sea and the Atlantic Ocean, makes Doñana an excellent birding area where over 300 species can be observed through the year. 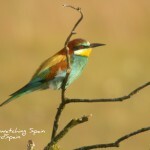 The best places to watch birds in Doñana are in the surroundings of the National Park. We will get to the Northern Doñana area driving through farmland, rice fields and marshlands close to the mouth of the Guadalquivir River. There is a long way to the visitor centre of Valverde but it is worth it, especially in the wet season. 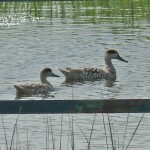 Then we will go to the “Dehesa” near the rice fields where several species of waterfowl can be spotted, including Marbled and White-headed Ducks. Some of the target resident birds are Glossy Ibis, Spoonbill, Red-knobbed Coot, Red-crested Pochard, Little and Cattle Egret, Night and Squacco Heron and thousands of Flamingos. In the surrounding areas, we will look out for Hoopoe, Stone Curlew, Spanish Sparrow, Lesser Short-toed Lark and Pin-tailed Sandgrouse. 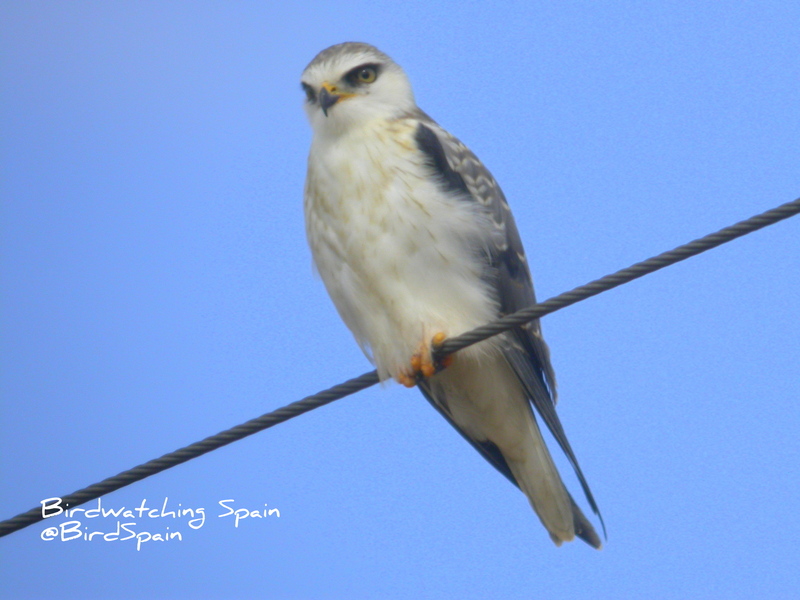 In summer, the arrival of Short-toed Lark, Purple and Night Heron, Gull-billed Tern, Short-toed Eagle, Black Tern, the beautiful Roller, Western Olivaceous Warbler and the rare Rufous Bush Robin makes even more interesting this bird watching tour Doñana. Doñana is a vast area and at least 2 days are needed to visit the most interesting points. In the South we will visit the Asperillo, a scrubland on old dunes where we will look for warblers. Then we will go close to the river La Rocina which enters to the marshes at El Rocio, an astonishing birding spot when it is wet. Nearby, there are several visitor’s centres with nice footpaths and hides where we will be able to observe many varieties of waterfowl and aquatic birds. Some of the summer residents we will look for are: Savi’s Warbler, Bee-eater, Little Bittern, Gull-billed Tern, Booted Eagle, Whiskered Tern and Subalpine Warbler. You may also catch a glimpse of the rare Spanish Imperial Eagle and White-headed Duck during this second day. In winter, the area is teeming with life: Pintail, Shoveler, Wigeon, Great White Egret, Osprey, Black-tailed Godwit and a large number of waders visit Doñana. 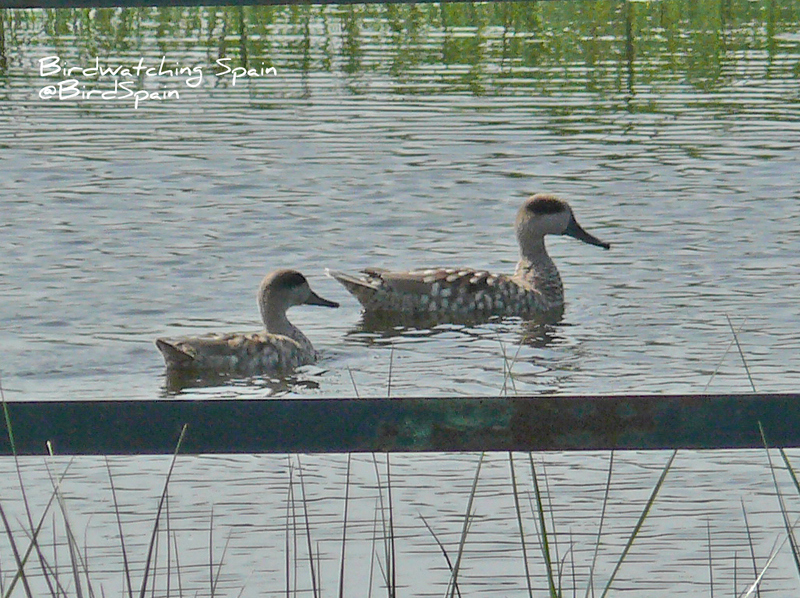 During migration, Garganey and Temminck’s Stint are regularly seen. Odiel Marshes is the second largest wetland in Huelva province after Doñana and the most important tidal wetland in Spain. The silt of the rivers Odiel and Tinto created this area and in this estuary we can find a paradise for birds. This is a day out to look for waders, seabirds and other aquatic birds. Through the road that connects some of the islands on the Odiel Marshes we will get to the visitor center of Anastasio Senra and continue to have interesting sightings on the mudflats going south. Finally, we will go to El Portil to enjoy observing the scenery and birds from a platform which offers a panoramic views. Some of the residents birds are Marsh Harrier, Spoonbill, Hoopoe, Spanish Sparrow, Kentish Plover and Black-winged Stilt. In winter, the area is occupied by Great White Egret and a large number of waders: Sandpipers, Dunlin, Gannet, Osprey, Grey Plover, Godwits, Sanderling, Greenshank, and Whimbrel. The area is also use for other wintering species such as Audouin’s Gull, Sandwich and Caspian Tern, and Bluethroat. In summer birds such as Montagu’s Harrier, Bee-eater, Little Bittern, Little Tern, Collared Pratincole and Red-rumped Swallow use Odiel Marshes to breed. 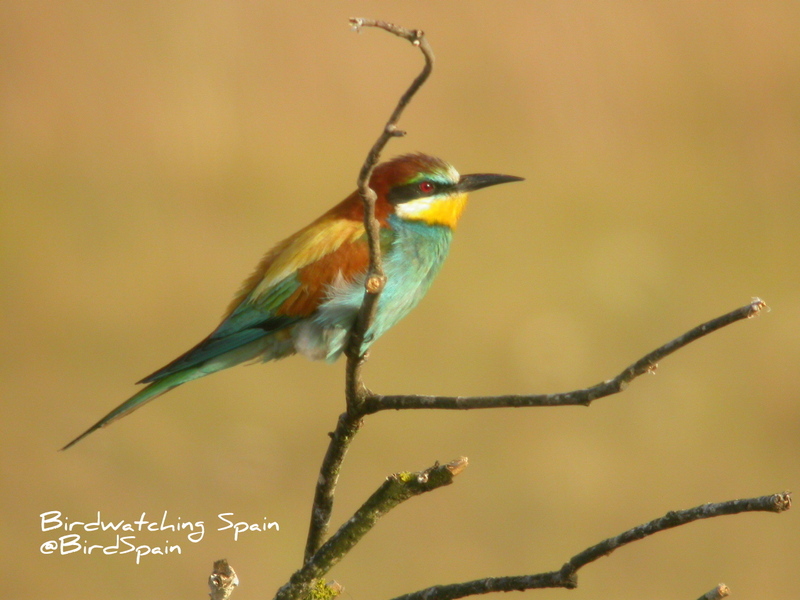 As you can see, this bird watching tour Doñana offers the possibility of seeing a wide variety of rare species with the help of a local guide. In adittion, this itinerary can be combined with others destinations. Please contact us for more information.